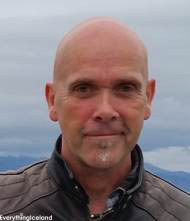 As a native Icelander, Jón Adólf Steinólfsson was born in 1959 in Reykjavik. He grew up in Southern Iceland hearing tales of Nordic lore. He expressed an interest in the art of woodcarving at an early age; however he didn’t fully embrace this craft until receiving a very special Christmas gift from his mother in 1987, a certificate for a woodcarving course. He continued formal training under master woodcarvers at the Hannes Flosason School of Wood Carving from 1986 until 1995. A residency followed at the Geisler Moroder School of Carving in Austria in 1995. He then attended the Kopavógur Visual Arts College in Iceland from 1996 to 1999. Jon was privileged to study under and work beside acknowledged world-class master wood sculptor, teacher, and author Ian Norbury at his studio in England from 1996-1999. While still an emerging artist, his work began to draw public and media attention early in his career. 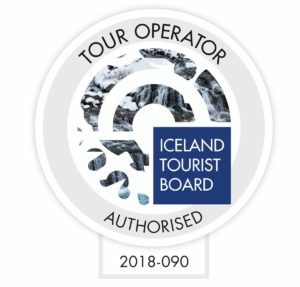 A few of his accomplishments include co-founding Iceland’s first woodcarving guild and acting as its president for many years. Jon was also a sought out to create the award given to the winner of The Samfes Design Competition of fashion designers at their awards ceremony in Reykjavik, Iceland in 2004. In 2006, he received the Icelandic National Award for Work of the Year at the Craftsman Show in Hrafnagil. He was also part of a select group of Icelandic multimedia artists invited to exhibit their works before the new U.S. Ambassador to Iceland at the 2007 Fine Art Show held at the NATO Airbase in Keflavik, Iceland. In 2014 Jón was honoured with the title Master in China and be a judge in a carving competition in Donyang in the presence of the Chinese Master Carvers. Jón shares his love and knowledge of carving and sculpting with others, having taught numerous carving classes for students at all levels of expertise all around the world. He has also organized and facilitated international master wood carvers to provide carving and sculpting courses for his students. Later in his career he added sculpting in (mainly Icelandic) stone. The love of Nordic mythology and deep respect for his native Iceland are clearly evident in Jon’s works. From the genesis of his career, the creative spirit of his talent and excellence in the mastery of his craft has served as a synergistic force reflected in his art. Jon has great range in his works, from contemporary styles and whimsical reflections on the instruments of music and modern communications technology to works that reflect the influence of mythology, old cultural references and centuries-old traditions. Many of these pieces also reflect the artist’s feelings toward issues of social justice. Perhaps Jon’s brilliance as an artist is best seen in his driftwood carvings. The individual pieces of material may lie dormant in his workshop for some time until the designs reveal themselves to the artist. Jon’s deep respect for the materials ensures that each piece will take on just exactly the form it was intended to be. In addition to being part of private collections around the world, his work is on permanent public display in several locations in the world including Iceland, the United States and China.